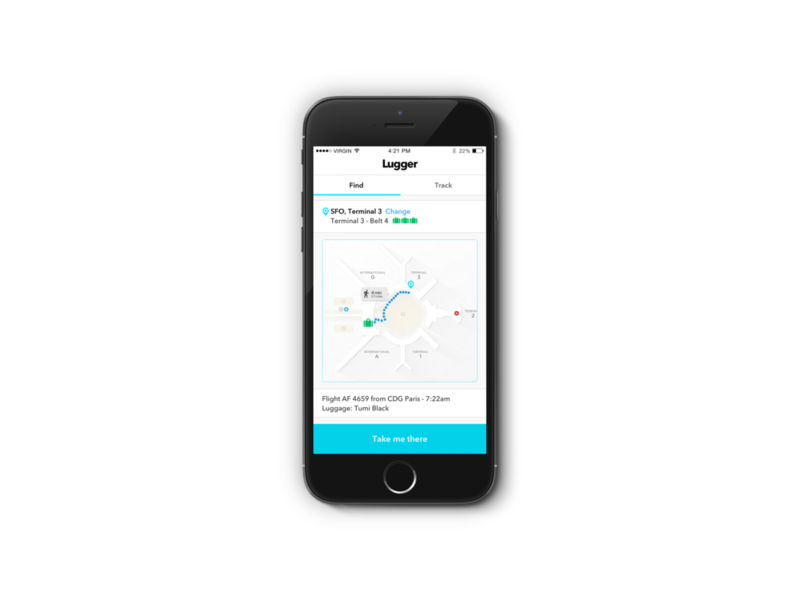 Lugger is a mobile app that allows you to track your luggage. The information can either be pulled from Passbook or be entered manually. You can also take a picture of your luggage receipt and the app will display where your luggage is located and how to get there. If the luggage is lost you can request to ship it to a destination and the app allows you to track the shipping delivery. I started by doing some research and discovered that there were some information that were mandatory in order to track a luggage. Some key data needed to be included: Departing Airport, Airlines, Flight number, Arrival time, Status and Baggage Belt. Based on that information I created some user scenarios and started asking myself questions such as what is the main goal of the app? What is frustrating when waiting for your luggage? Based on that I decided that the most important features of the app should be: find luggage, lost luggage, track luggage and see past trackings. I then simplified the experience and removed what was not necessary. Therefore I was able to create the sitemap. I then created the UX flows based on my findings and user scenarios. One flow is more for a tech savvy user that uses Passbook and has his geolocation turned on. The other use case is for a person that does not use Passbook and has to enter the information manually. You can observe that once a luggage is not located you have multiple options: notify, ship, call or go to a Lost & Found desk. Here are the final visuals. I also created a second version with a different UI and a hamburger menu.